We work with our clients to find and deliver cost-effective and practical advice. Contact us today. 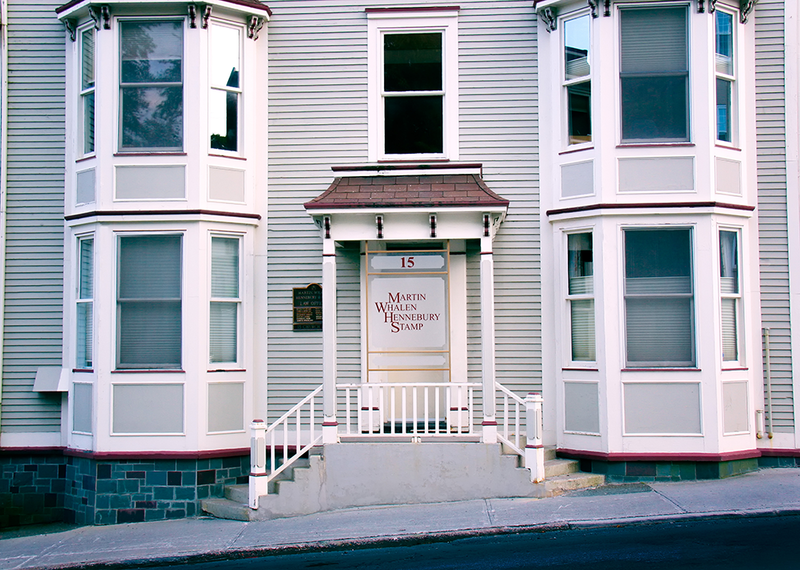 Martin Whalen Hennebury Stamp is an established Newfoundland and Labrador law firm with a solid reputation for loyalty and distinction. We service local, national and international clients. Our lawyers have appeared regularly in all levels of court in the province as well as numerous provincial and federal boards and tribunals. For more than thirty-five years, Martin Whalen Hennebury Stamp has maintained a proven record of success within the legal community. We recognize that our clients are all unique, and so too are their legal transactions and disputes. We tailor our advice to meet our client’s needs. Our lawyers cover a broad range of legal work. Select our lawyers by primary area of practice. Like our heritage offices, located in historic downtown across the road from the courts, our firm has stood the test of time. We have a broad range of experience in personal injury litigation. Our lawyers know the issues, principals, and strategies necessary for diligently pursuing the personal injury claims of our clients. We know all the steps required to ensure clients receive complete compensation for injuries sustained. With our vast litigation background, we can any ancillary insurance issues which often arise in a personal injury action. We represent a wide array of commercial clients – from chartered banks and publicly traded companies, to individuals starting up small businesses. Our corporate and commercial lawyers have the experience needed to deal with all aspects of provincial, national, and international commercial transactions. The construction industry, whether at sea or on land, involves many players with varying expectations and skills. Contractual disagreements and construction problems have the potential to delay a construction project, to render the project unprofitable, or to cause property damage or personal injury to others. When such issues arise, either while the project is ongoing or following completion, we are available to assist our clients in achieving a timely and effective resolution of construction-related problems. Our capable team of criminal lawyers have a unique range of experience in criminal prosecution and criminal defence work. This experience, including the representation of clients at all levels of court, ensures our clients´ interests are being carefully protected each time we are retained. Our experience in prosecutions provides insight into all elements of criminal litigation, including the many issues which arise pursuant to the Canadian Charter of Rights and Freedoms. Resolving family law matters can be a difficult and complicated process which often requires a delicate balance between vigilance and compromise to achieve an optimal solution. Our strong and objective family law lawyers realize that a family law dispute can be an especially trying and emotional ordeal for our clients. We facilitate successful resolution by ensuring all related legal issues are addressed in a timely fashion. Our broad experience in corporate and commercial matters ensures that resources are available to our family law lawyers to address the complex issues that often arise when matrimonial assets are intertwined with business dealings. Family law disputes are personal matters that require personalized service. Our team works hard to meet the needs of our clients and protect their rights. Insurance law represents a major component of our practice. Our insurance lawyers regularly advise and represent provincial, national, and international insurers and we maintain an extensive insurance litigation practice. Martin Whalen Hennebury Stamp is a member of the ARC Group Canada Inc. (“The ARC Group”). The purpose of this prominent network is to provide insurers and self-insured companies with insurance and risk-related legal service from coast to coast. We can avail of these contacts to respond expeditiously to insurance problems with extra-provincial implications. Our insurance lawyers have the experience necessary to ensure that your choice of counsel is one risk you will not have to assume. When purchasing or selling real estate – either residential or commercial – clients wish to receive a timely and conclusive resolution of the transaction. Our real estate lawyers handle transactions of all sizes, from purchasing a first home to selling commercial investment properties. And every transaction, regardless of size, receives the personal attention of an experienced lawyer. Consult with us first, before you sign on the dotted line. Union-based labour law has been a cornerstone of Martin Whalen Hennebury Stamp. We maintain one of the largest union-representation practices in the province, covering both skilled and unskilled trades and occupations and representing international, national, and provincial trade unions. We also represent non-unionized employees who may have disputes with current or former employers, including claims for wrongful dismissal. The sea is an integral part of life in Newfoundland and Labrador. Our fisheries and marine lawyers provide an array of legal services, including the purchasing and financing of processing plants, vessels, and licences. The oil and gas industry has brought to Newfoundland and Labrador increased business activity, employment opportunities for individuals, and investment opportunities for local, national, and international companies. Unique and complex legal issues often accompany the development and expansion of the oil and gas industry in this province. Our lawyers have the experience in insurance, construction, corporate and commercial, fisheries and marine, and environment law to provide legal services for negotiating and enforcing your contractual rights, implementing contracts, and defending or pursuing any claims that may arise in this context. Good estate planning can greatly reduce the stress and anxiety faced by family and loved ones during difficult times. Our clients are secure in knowing they have made the necessary legal preparations. Have a question? We may already have it answered for you right here. 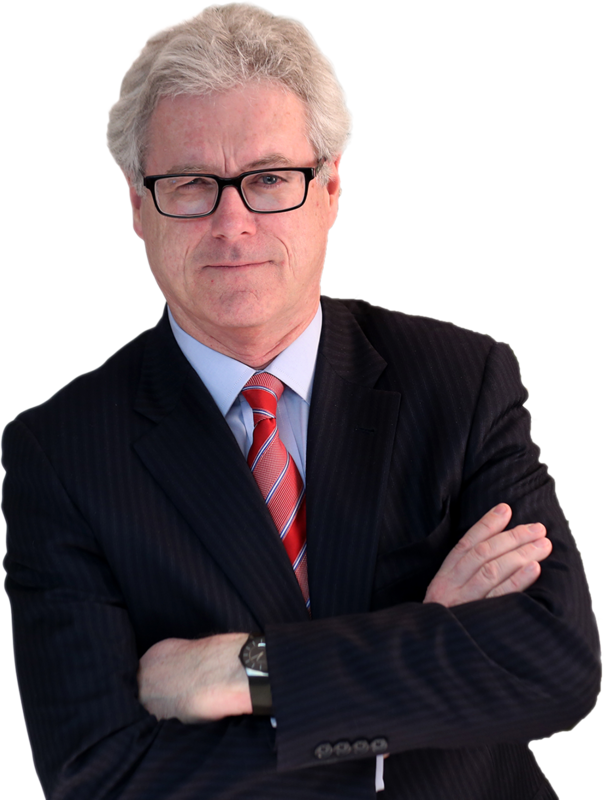 Martin Whalen Hennebury Stamp is one of nine independent law firms across Canada that have joined together to form The ARC Group Canada Inc. Contact our team by email, or fill out the form below to send your inquiries. You can also call us toll free at 1-844-754-1400. We are conveniently located across the road from the courts. Click the map below to get directions to our offices. Web Design by Sevenview Studios.